Presentation of the Campaign in New York. ECOSOC side event. Presentation of the International Campaign for the UN Youth Employment Decade. 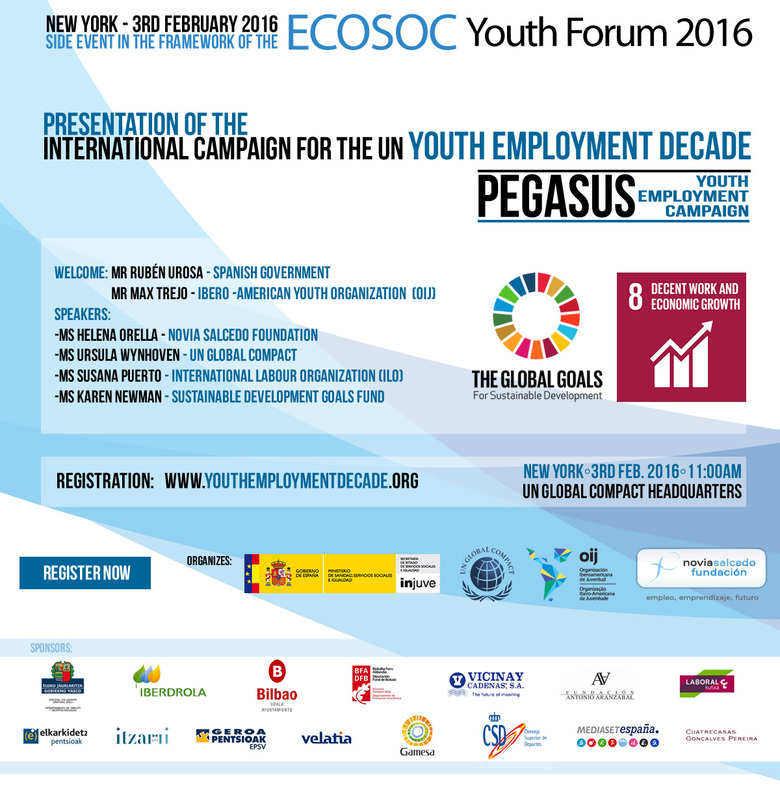 This event will be held at the United Nations Global Compact Headquarters, 685 3rd Ave. NY 10017. 11:00 a.m. 3rd feb. 2016. If you are interested, please complete the application form.